You just got engaged! Congratulations! What an exciting time in your life. I'm sure up until now you've thought of most details, but some you might not have prepared for are venue details. Some venues offer all inclusive while others are bring your own vendors! Some might have a guest count cap and some might have time restrictions. This isn't dreamy talk, we know, but it's good to know what options are out there for you! Now it's time to take the next steps in planning the wedding ceremony and reception. One of the trickiest steps in the process of planning a wedding can be finding the perfect venue for your needs. If you live in Houston, TX you're in luck because there are countless wedding venues meant just for the two of you! This will be your greatest day, and we are here for every step of planning it! 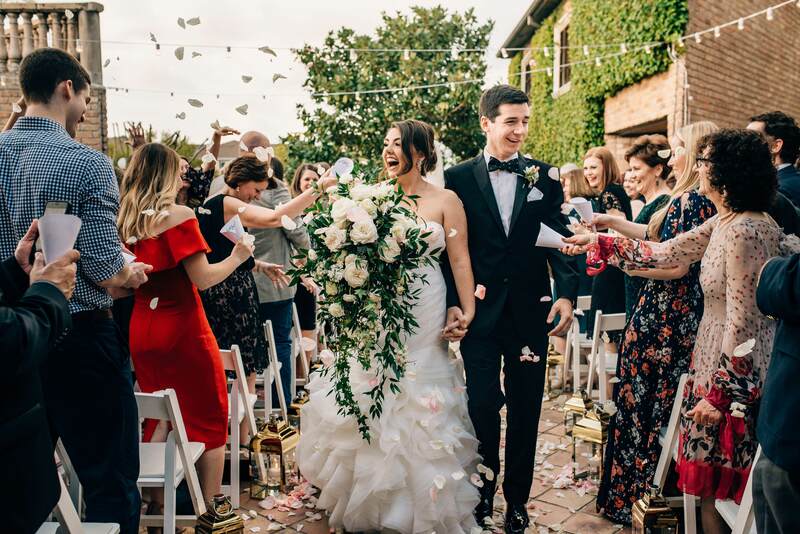 Houston weddings can be some of the sweetest due to the southern climate! Most of the year, there's a beautiful temperature which is ideal for outdoor weddings. The temperature during golden hour (perfect for portraits) is wonderful, but gets even better during nightfall because some venues offer outdoor fireplaces! Just think of it, during reception, dancing on the dance floor while the music carries itself outdoors to guests enjoying the night sky. Simple. Wedding venues in Austin are similar to Houston, other than some other unique wedding venues in downtown Austin (which we might write a blog on soon)! 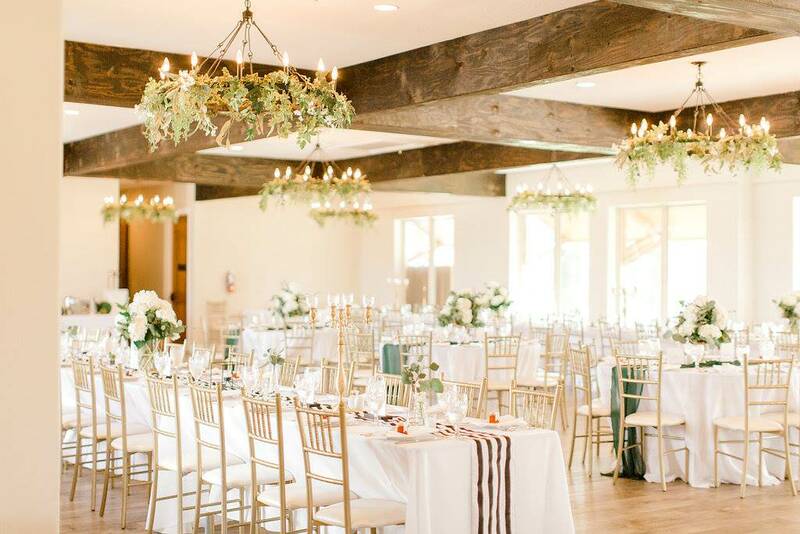 Wedding venues in Texas in general are always open and spacious with bright walls and ceilings. 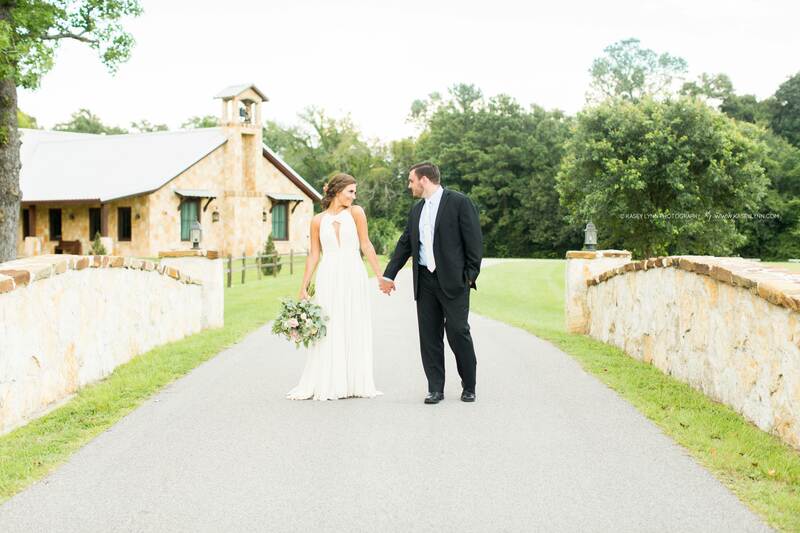 These event spaces on Texas hill country are prime wedding locations! Here we have our Top 5 All Time Favorite Venues in the Houston, Texas area, even though we love all Texas weddings! We have custom tailored these choices to fit all styles of brides and we'll even explain why. Read below for more! The Springs in Lake Conroe is stunning. They have 2 seperate venues on site and an outdoor ceremony site. Leading to the outdoor ceremony site, you will notice special water features. Each venue can accommodate up to 320 guests and are 9,000 sq/ft. The Stonebrook Hall exterior is white limestone and pine woodwork. This venue has french doors and antique windows. 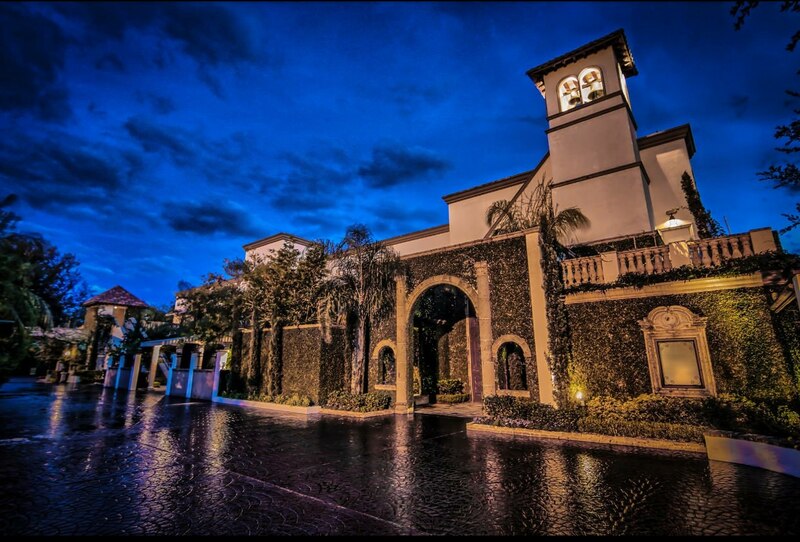 The Pine Hall has a wooden pine structure with iron chandeliers that set the mood for a romantic night. Both have bridal and groom suites. Did I mention that the rental is good for 16 hours? This venue is perfect for the bride that wants something not too large. White Oaks sits on a waterfront property that includes 32 acres. You can get married under the sweetest gazebo, with a view of the river. There is a patio that features a large built-in stone fire pit and places to sit. It's tradition to take bridal portraits on the large white outdoor swing. 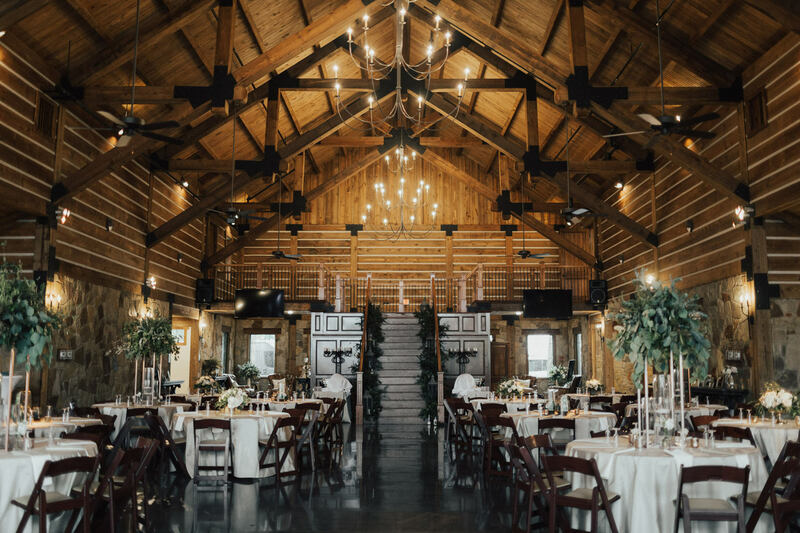 Inside, the reception is tied together with dark wooden beams and symmetrical black iron chandeliers. They even provide gold chiavari chairs! Much of the allure of this event venue is due to the Gallery's location, being near downtown. There are plenty of hotels nearby for guests to stay, in case your big day lasts all night. This venue has a distinct French Mediterranean touch, which is distinct and graceful. They can accommodate up to 300 guests in the interior alone. The patio features a 3 tiered antique water fountain, perfect for Couples Portraits! They also have a hand-carved mahogany bar with limited Tiffany stained glass. This venue holds a lot of charm and history. Definitely worth a tour. One of the most elegant venues in Houston with an excellent wedding location. Bell Tower showcases true class. This venue has 2 indoor ceremony spaces, 1 outdoor ceremony space, and 3 indoor reception spaces. They can definitely do more than 1 wedding per day. Their staff is very easy to work with and genuinely care about your big day! They showcase high ceilings, marble flooring, and exquisite mahogany Chiavari chairs that'll make this venue feel special even to your guests. It emulates Italian villas and gardens. They are family owned and operated so they understand the importance of family! They also have an in-house Executive chef to prepare the catering if you choose to do so. This venue is quiet, sitting 30 minutes north of Houston. The property is 32 acres big, and holds an elegant waterfront to your rustic venue. They can host up to 320 guests and feature 2 separate bars to ensure that there is no wait. There is an outdoor ceremony area that allows you to get married on the lake surrounded by family, friends, and oak trees. The Chapel features wooden arches that are light enough to open the space up. They have custom lighting that is truly lovely. They offer a layout that is hard to beat, it's open and free with enough room for all of your guests to join the dance floor. We hope this list of our top wedding venues in Houston, Texas helps you to find the perfect venue for you. Keep an eye out for our all time favorite wedding venues in Texas coming soon. Ashton Gardens is worth a look up as well! We understand that wedding planning can be stressful, that's why we want to help in any way we can. If you're also in need of a DJ, feel free to get a quote here.Connect with us on Facebook and Instagram to find quick information and insights on our wedding DJ services.